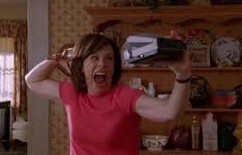 One of my all-time favorite sitcoms is Malcolm in the Middle, starring Jane Kaczmarek (“Lois”) and Bryan Cranston (“Hal”) as the no-nonsense and often crude parents of five sons. In one episode, Lois is ticketed for reckless driving involving cutting off another car as she enters a road. Lois insists that she was not in the wrong; however, the incident was caught on video, and it appears that Lois is indeed at fault. One of her coworkers realizes that another surveillance camera caught the entire incident from a better angle. The video shows that it was Lois who was in the right and the car that she supposedly cut off made an illegal u-turn and actually cut off Lois. The difference between partial information and the full story. Unfortunately for Lois, her husband Hal is enjoying her more submissive attitude as she second guesses herself in general based upon her seeing the partial video account and now doubting her own perceptions. Hal destroys the video of the full account and intimidates Lois’ co-worker into keeping his mouth shut. What results is a comical sketch based upon the idea that controlling access to complete and accurate information allows one to manipulate others. Sounds like a lesson from Corporate Education Reform Marketing 101. 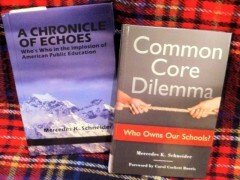 The Louisiana Department of Education (LDOE) hides information and releases delayed or partial information in an effort to keep the public ill-informed regarding the state of education in Louisiana and especially as concerns the now-all-charter Recovery School District (RSD) in New Orleans, which White and other well-positioned, well-financed privatizing reform cronies actively endeavor to market as a national model. What follows in this post will cause them problems in fashioning their RSD success advertisement via graduation rates. In the discussion that follows, I reference annual state education reports from years past and that I was able to recover using the internet archive, Wayback Machine. Let us begin with a study in Louisiana graduation rate and completion rate term usage and calculation. Over the years, the terms, “graduation rate” and “completion rate” have changed. In the 2000-01 annual report, “graduation rate” was calculated based upon the number of seniors that graduated high school. “High school completion rate” was defined as the population proportion of 18- through 24-year-olds who had completed high school or high-school-equivalency. (See “College Readiness” section, file name 06). 1. High School Graduation Rate—answers the question: “out of the students that made it to the 12th grade, how many graduated in that same year?” This method takes the number of 12th grade students for any given year and divides by the number of graduates in that same year. 2. NCES Status Completion Rate—answers the question: “of those students (18-25 year olds) who have left school, what proportion have done so as a high school completer?” This calculation, using the U.S. Department of Education data and Census Data, takes the total number of 18-25 year olds in a population and divides by the reported number of high school graduates. 3. 4-Year Completion Rate—answers the question: “of those who left school, what proportion did so as a completer?” This method, using data from the Common Core of Data (CCD), is calculated by dividing the number of high school completers in a given year by the number of high school completers in that year and dropouts over the preceding 4-year period. 4. Cohort Completion Rate—answers the question: “of the students that started the 9th grade, how many graduated with a high school diploma 4 years later?” This method involves the tracking of a cohort of 9th grade students for 4 years. Students that left the state or went to a nonpublic school are removed from tracking, all other students were either counted as a high school completer or a dropout. This is the most comprehensive and accurate method of calculation that provides information about a state’s ability to graduate its students in four years. Thus far, this rate is not calculated at the national level nor is it calculated by Louisiana on an annual basis. Louisiana is developing statistical programs in order for these data to be calculated in the future. This is the method that the NISS task force has recommended to NCES to use as the basis of comparison for all states regarding high school completion. This method answers the question, “of the students that started the 9th grade, how many graduated with a high school diploma 4 years later?” This method involves the tracking of a cohort of 9th grade students for 4 years. Students that left the state or went to a nonpublic school are removed from tracking; all other students were either counted as a high school completer or a dropout. This method yields a 4-year completion rate of 52.6% (with 6.6% still in high school after 4 years) for Louisiana. So, in 2003-04, the cohort graduation rate for the state of Louisiana was 52.6%. The 2004-05 and 2005-06 reports were not archived in the Wayback Machine. The next available report is for 2006-07. While these topics seem to be very straight-forward concepts, there is much variance and difference among the states in how these rates are calculated. The federal No Child Left Behind Act (NCLB) requires states to consider graduation rate when making Annual Yearly Progress (AYP) determinations for school districts and high schools. The legislation gives states a great deal of latitude to set graduation rate benchmarks, but does provide several specific requirements for how graduation rates must be calculated. In 2005, the National Governors Association assembled a task force of governors’ advisors, state education officials, education research and data experts, and representatives of organizations of state officials. The task force developed consensus on a series of recommendations, including a common formula for calculating high school graduation rates. All 50 governors have signed NGA’s Compact, agreeing to build their states’ capacity to collect and report accurate graduation data and to use a common graduation rate definition (NGA, 2005). This initiative will take steps to implement a standard, four-year adjusted cohort graduation rate tentatively scheduled to be reported by all states by 2010. In response, the National Center for Education Statistics (NCES) will publish an interim estimator known as the Averaged Freshman Graduation Rate. This is the first year that Louisiana has calculated a Graduation Rate and a Graduation Index that is based on a cohort of students for use in the School Performance Score of each school with students in grade 12. The Graduation Rate is the percentage of a school’s graduation cohort that obtained a regular high school diploma. Each cohort of students is tracked for four years, from entry as first-time 9th grade students through the 12th grade. This type of cohort will allow additions into the cohort but any student who exits a cohort for other than legitimate reasons will be considered a dropout in graduation rate calculations. The Graduation Rate and Graduation Index will be produced annually. With this methodology, Louisiana will be able to get a true picture of its completion rates of high school students. The following is a summary of the 2006-2007 Graduation Rate. For more information regarding the Graduation Index used for School Performance Scores, please refer to Bulletin 111. Note that the first cohort graduation rate calculated for Orleans (and likely using Class of 2006 data) was affected by the disruption of Hurricane Katrina. Now, let’s consider some of the marketing hype surrounding the New Orleans Recovery School District (RSD). A common selling point for now-all-charter RSD involves the rise in the supposed pre-Katrina Orleans Parish cohort graduation rate of 54.4% to the combined Orleans Parish-RSD cohort graduation rate of 77.8% in 2012. In May 2014, researcher Adam Johnson tried to track that alleged 54.4% to a primary source. Even the Louisiana Department of Education (LDOE) could not verify the number. That is because the first cohort graduation rate for Orleans Parish Schools was not calculated until post-Katrina– in 2006-07 (and likely using data on the 2006 graduating class– see Excel file referenced below). According to LDOE archives (that LDOE has tried to erase), prior to Katrina, only one Louisiana cohort graduation rate had ever been calculated. It was for the state as a whole: 52.6%. Thus, the oft-cited “54.4%” as a pre-Katrina cohort graduation rate for Orleans Parish is nothing more than a statistical unicorn, a fabrication that was helpful in selling all-charter, state-takeover RSD. Once Louisiana began calculating the now-common cohort graduation rate for the state– which happened post-Katrina– it also annually calculated such a rate for both Orleans Parish schools and RSD New Orleans, as well. The above file originates with LDOE and includes the 2013-14 cohort graduation rates for the state and for districts. However, it seems that LDOE is not ready to post 2013-14 cohort graduation rate info on its website. (Indeed, LDOE did not post the 2012-13 rates until July 2014.) Alas, the 2013-14 rates were made available in April 2014. 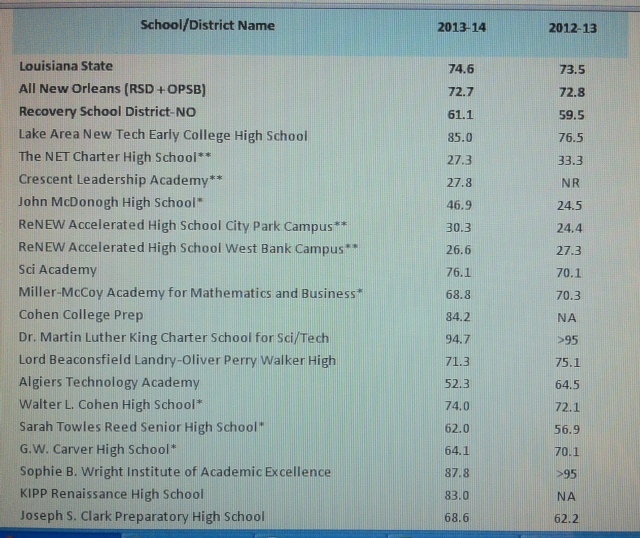 In her April 06, 2015, article entitled, Best and Worst Louisiana Public School System Graduation Rates, Nola.com reporter Jessica Williams included the LDOE Excel file at the end. The Excel file in Williams’ article no longer opens. So, I tried the Wayback Machine archive. It worked, and the Excel file is now linked above as a working part of my post. That Excel file allows the public to view RSD “success” from a more realistic vantage point– across the years and in comparison with the state. The gap between cohort graduation rates for RSD New Orleans and the state– and even combined Orleans-RSD and the state– is widening. The fact that the state cohort graduation rate continues to rise even as both Orleans Parish and RSD New Orleans are slipping also does nothing for the sale of the Common Core State Standards (CCSS) as The Louisiana Solution. So, how does RSD Superintendent Patrick Dobard try to market this awkward reality as “improvement”? But let’s just restrict information to only 2012-13 and 2013-14. Let’s not go back another year, to 2011-12 and that fabulous 67.7% grad rate that dropped over 8 points in 2012-13. This intentional marketing of RSD as an “improving” product reveals the priority to promote an image rather than truth. Dobard’s actions remind me of those of Educate Now!’s Leslie Jacobs when Louisiana State Superintendent John White was forced in February 2015 to release his version of the Class of 2014 ACT scores. According to LDOE, RSD’s Class of 2013 ACT composite was 16.3. And according to LDOE, RSD’s Class of 2014 ACT composite was 16.4. Jacobs tried to paint this “improvement” as RSD success by focusing on two data points, thereby glossing over the fact that RSD’s ACT composite had actually dropped two years earlier from its peak of 16.8. Not to worry, RSD. There’s always the next lie. It’s all part of the sale, part of the effort to manipulate the actions of prospective RSD buyers. Partial information that lacks sitcom humor because it is a carefully-crafted, real-world deception. In view of the fact that many Louisiana districts are now requiring teachers to “pass” 90% to 95% of their students in order to be considered “Effective,” the claims of success based on these graduation statistics ring even more hollow. Some districts are actually mandating SLTs based on the percentage of students passing your course! In addition, some of the statistics offered in a companion article on Nola.com regarding percentages of LA grads (by district) going on to college also puts the lie to these claims of rising grad rates. Thanks, Mercedes, for continuing to shine the light! Mececdes, WND.com reports, Bill and Melinda Gates Foundation contributed millions to UNITAID which is major contributor to Bill and Hillary’s 3rd world health initiative that seems to be having auditing issues right now. Those tenticles are far reaching to stay in the graces of the political elite. There should be a law that sends people to prison for a minimum of 20 years to life for tampering with data to manufacture a false conclusion that results in them making a profit based on that lie.